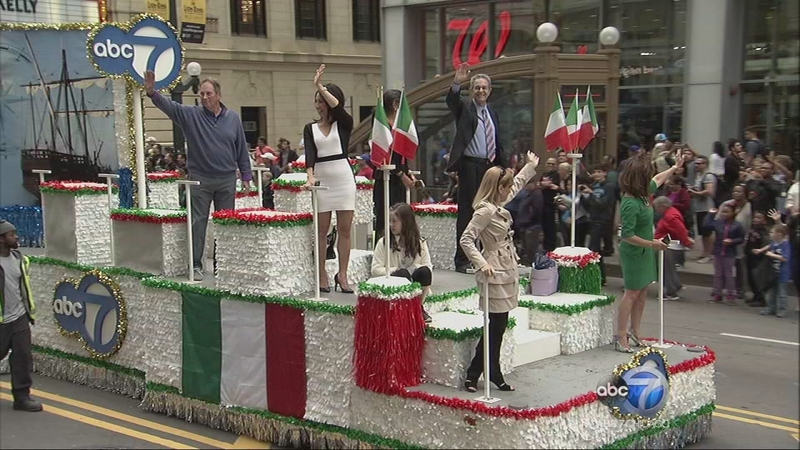 CHICAGO (WLS) -- ABC 7 CHICAGO, the official station of the 63rd annual Columbus Day Parade, presented the parade. An encore performance will air on ABC 7's main channel early Tuesday morning, October 13 at 12:05-1:35 am. 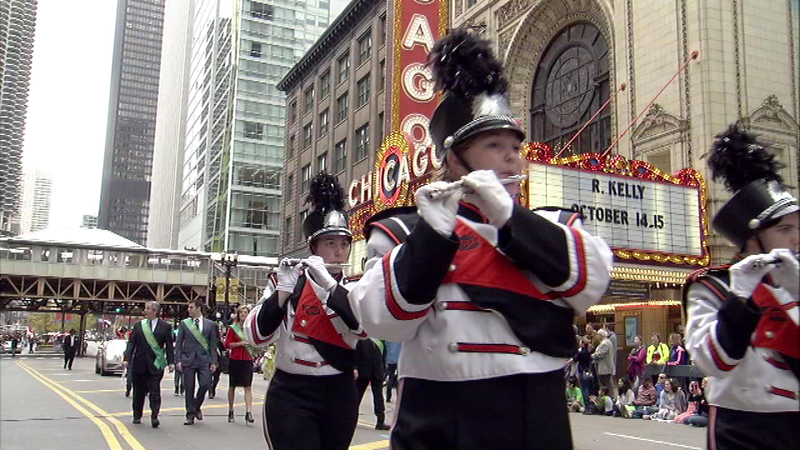 Thousands gathered to watch the Chicago Columbus Day Parade wind its way down State Street in the Loop on October 12, 2015. 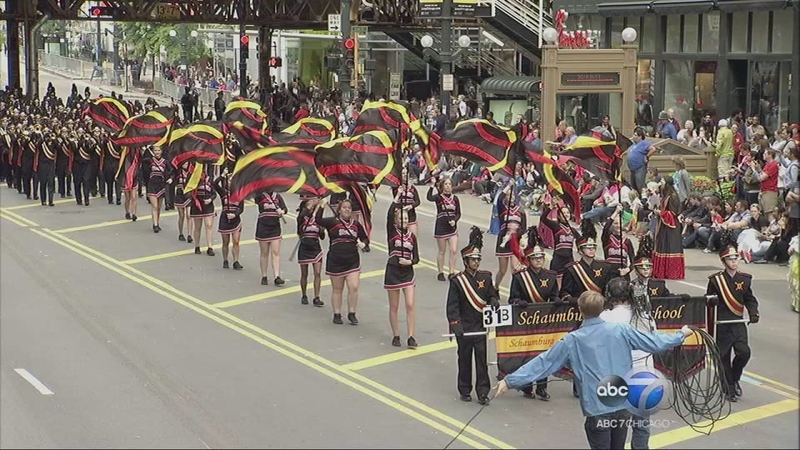 Alan Krashesky, ABC 7 anchor/reporter and Janet Davies, ABC 7 feature/entertainment reporter and 190 NORTH host, once again served to host the Columbus Day Parade broadcast. Anthony Rago, from Rago Brothers Funeral Home, and member of the executive committee of the Italian American Human Relations Foundation, joined them in the broadcast booth. Dominic DiFrisco, president emeritus of the Joint Civic Committee of Italian Americans is officially handing over his role as the parade's color commentator to Anthony Rago this year. 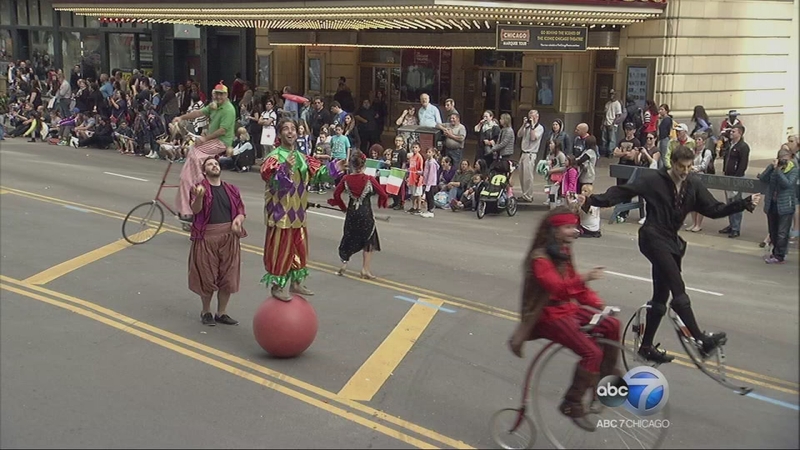 Mark Nilsson from ABC 7's 190 NORTH was on the street capturing all the festivities. 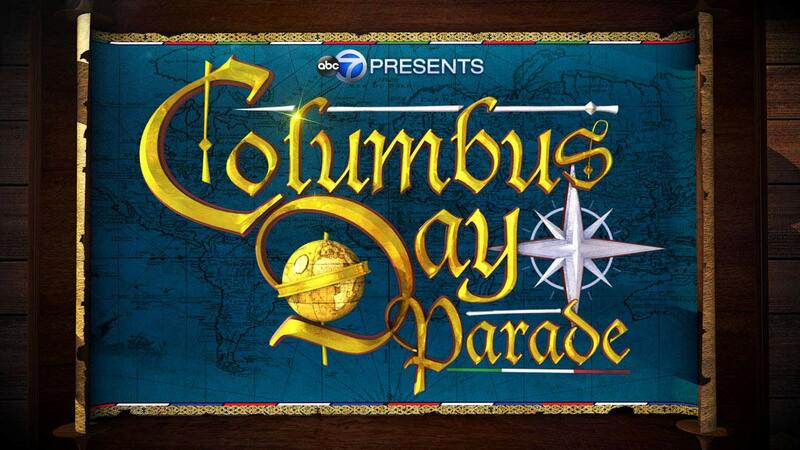 ABC7Chicago's Alan Krashesky and Janet Davies host the broadcast of the Chicago Columbus Day parade. The 2015 parade's central theme is "The Time is Now." 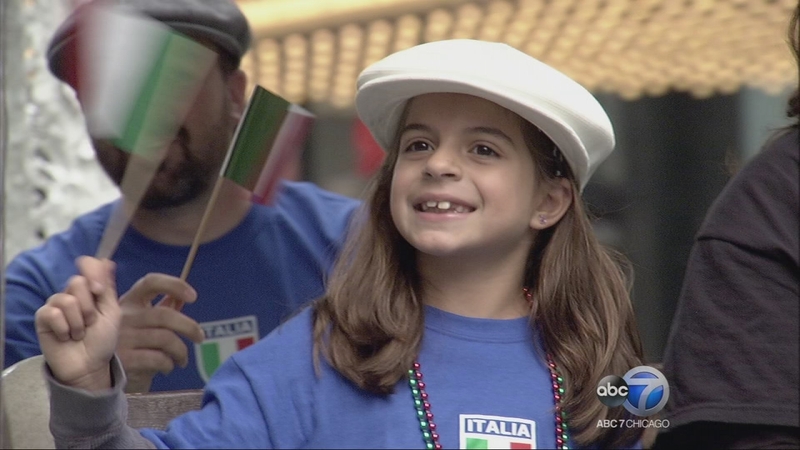 The theme refers to the younger Italian American community embracing a larger role in the Chicagoland area. This year's chairman is Sal Perricone of Perricone Garden Center and Nursery. 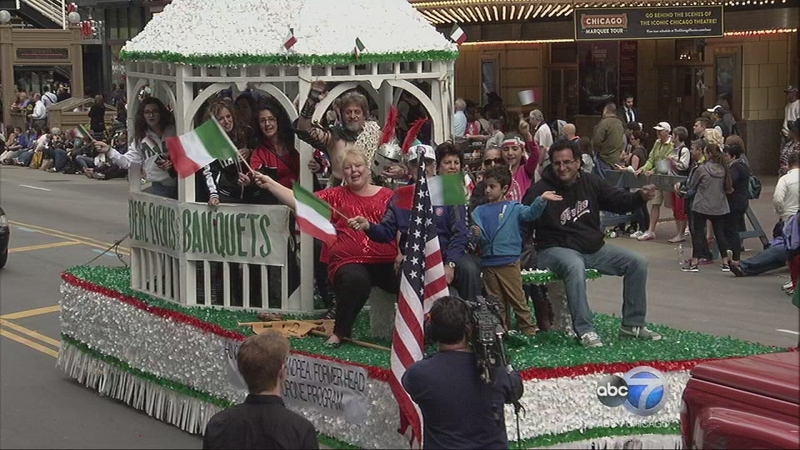 Riding atop the ABC 7 Columbus Day Parade float was Tracy Butler, Judy Hsu, Ron Magers, Jerry Taft and Linda Yu. The fun began on State Street "that Great Street." 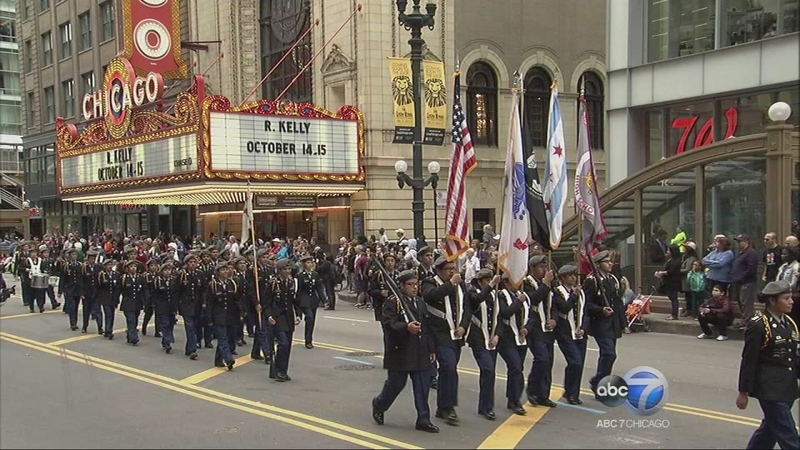 The parade started on State at Wacker Drive and continued south to Van Buren. 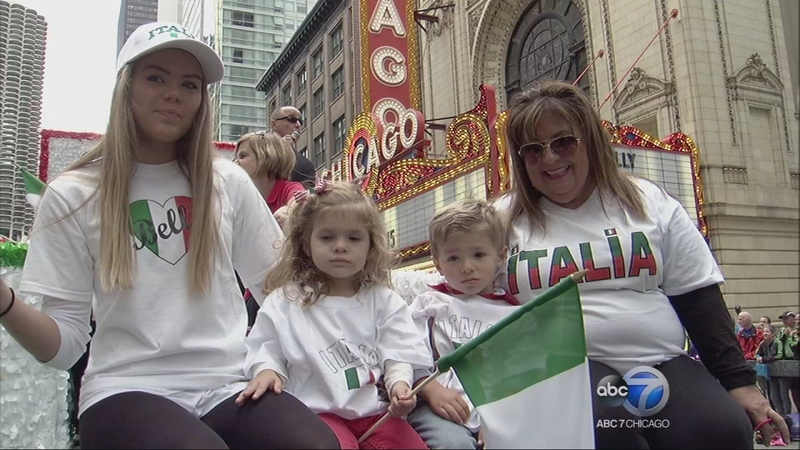 The Columbus Day Parade Queen, 22-year-old Jessica Malpede of Addison, Illinois, was front and center along with her majestic court. Malpede attends Elmhurst College. 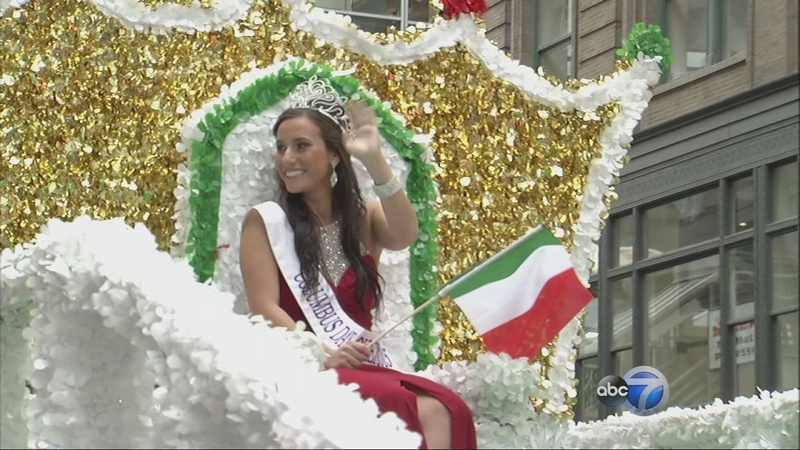 She began her reign this September after she was selected during a pageant sponsored by the Joint Civil Committee of Italian Americans.